Today, more and more people are corresponding through email. Let’s face facts, personal communication through physical mail is still preferred by many individuals. Physical mail composed by you on a letterhead template lends a very personal touch to the correspondence that cold technical email correspondence does not. Use the personal letterhead template to create a very special and unique letter with a fresh look. In addition, the template is easy to customize with your own special touch. The very impressive features on this letterhead template include a section for your own personal name or even a small business name. Opposite the name section is a field to include a physical address, telephone number, and email address. Rearrange or customize this section to suit your purposes. Next, is the salutation feature. This area is easy to customize with your own greeting. The body of the letter is next. This area is preset or is easily changeable. 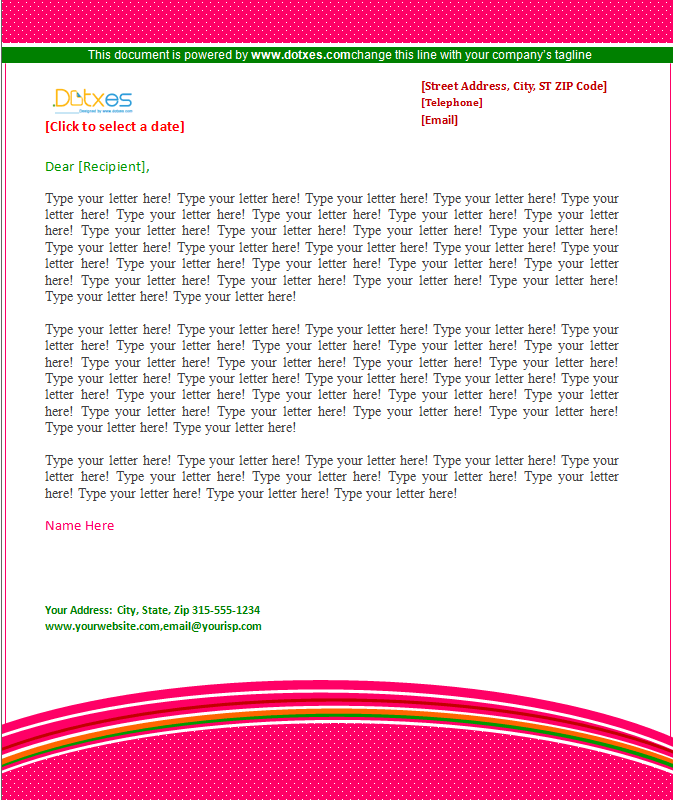 The letterhead template ends with the closing section, add your name. Below that feature is a field to add your physical address, telephone number, email, and website. Surely, it is time that you started using a letterhead template that makes it easy to craft great looking correspondence.